For Schoeps users, if could could only have one set of caps what would you chose?? What Schoeps caps do people think are most versatile? I know this will vary depending on opinions, but wanted some feedback. For Schoeps users, if could could only have one set of caps what would you chose?? What Schoeps caps do people think are most versatile? I know this will very depending on opinions, but wanted some feedback. I truly don't think there's a "one-size fits all" solution when it comes to ANY capsules/patterns because it truly depends on the room. All things being equal, I loved my MK22's when I owned them and preferred the sound from them over the MK41's, however, with wookiness becoming more and more of a thing, the MK41's were very helpful when in noisier situations where I needed to "cut through the crap." If I was doing it again, I think I'd lean towards the MK22's or MK4's as my "one set" simply because I record in places where people are a lot more respectful (and the rooms can be a lot smaller). Adrianf74 appears to have similar taste to me. I have settled on Mk22s and Mk41s as my favorites. If I had to chose one capsule I would probably go with MK22s (or MK4s). I record a lot of smaller shows however. If I were recording at bigger venues, I would probably say MK41s. I guess it’s too obvious, but I love the Mk. 5. It's a wide enough pattern that it picks up a full bass and sounds perfect in the sweet spot, but it's directional enough to use from far away indoors. I run the mk22 pair every show. If I had to pick only one set it would be the MK4V. Another vote for 4v. Sweet sounding with that slight HF boost, great if relatively close, say 50-75 feet, for a big room back by board love my 41v. Obviously the MK5 is the most versatile cap since they are cardioid and omni selectable, but my favorites are the MK22 and MK41. If I could only have one it would be the MK41s. 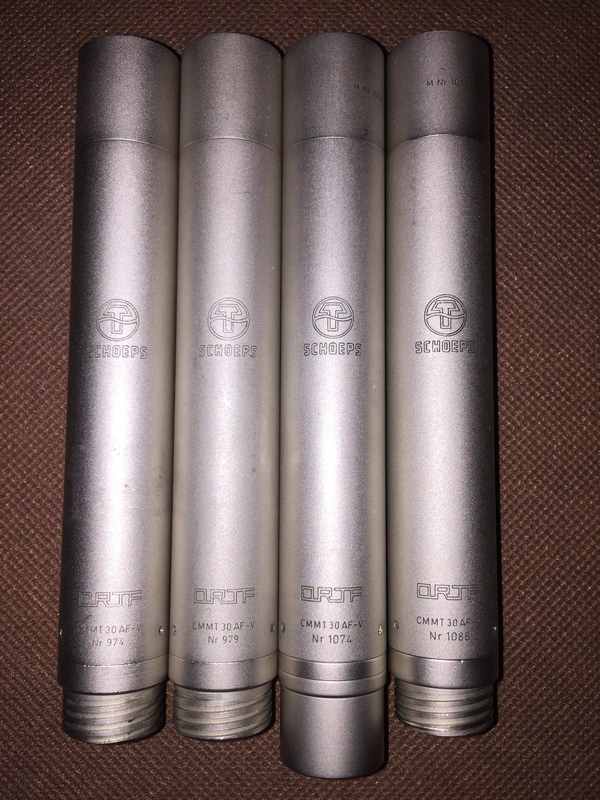 Other caps might be better in certain situations, but 41's can be great from anywhere IMO... and can save a recording when in bad situations. Is there a sonic difference between the MK4 and the MK4V ?